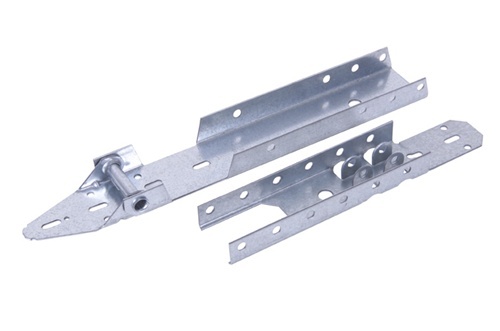 Wayne Dalton universal garage door operator bracket for sectional garage doors that use leaf style hinges. Helps distribute the load of the operator over a larger area than the bracket supplied with most garage door openers. Can be used in residential as well as industrial and commercial applications. Works with Wayne Dalton models 8000, 8100, 8200, 8300, 8500, 5155, 5255, 5150 and 5200. Also works with Amarr, Midland, Clopay, Raynor, Windsor, Overhead Door and many others using a leaf style intermediate hinge.